Welsh National Opera ('we', 'us' or 'our') is committed to protecting your privacy. This policy provides detailed information on when and why we collect your personal information, and how we use and keep it secure. We will use all information that we collect about you in accordance with the General Data Protection Regulation, 2016 (GDPR) and the Privacy and Electronic Communications Regulations, 2003 (PECR). Welsh National Opera is a Charity registered in England and Wales (number 221538). Its trustee is Welsh National Opera Ltd, a company limited by guarantee registered in England and Wales (number 454297). When you purchase tickets from us or join one of our membership schemes, the information you provide is stored in a database managed by a consortium of venues, led by Wales Millennium Centre. In 2007 the Wales Millennium Centre created a Consortium that makes it possible for other arts organisations to benefit from the same ticketing system they use, Tessitura, at a lower level of investment than would otherwise be required. They offer a collegiate approach to the use of Tessitura with consortium partners, sharing a system for mutual benefit rather than a more traditional corporate relationship. Whilst all ‘organisation specific’ data is locked down to the appropriate organisation (ie transactional information, payment data, customer interactions, ticket history etc. ), there is a general tab on a customer’s record which is shared amongst Consortium partners. This means that each consortium member can view the following information: Name, Address, Phone Number, E-mail Address. If you would like further information on our CRM System, Tessitura and the Consortium please contact us. Purchase a ticket by a WMC Consortium Member website for a WNO production. Join the WNO mailing list. Make a donation or purchase a membership. Contact WNO directly via phone, post, email, in person. Attend or are invited to attend one of WNO’s fundraising or cultivation events. Recognise that you are logged in to an area of the web-site so you don't have to keep re-entering your username & password. Measure how you use the web-site so we can continue to improve it. We may receive data about you from third parties. This could include other artistic venues where you have seen Welsh National Opera’s work, or other partners that we work with where you have consented to share your information with Welsh National Opera. We may also use external services such as PCA Predict address finder and Experian Intact data cleansing services to ensure that we keep contact information on our database up to date. We use social media to reply to any solicitations made directly to Welsh National Opera. We may also access information from social media services such as Facebook if your settings give us permission to do so. Welsh National Opera relies on charitable support in order to secure and maintain both its high quality and bold artistic programme. In order to ensure that we are able to provide a bespoke and personal service, for a small number of our audience and donors we may seek additional information to ensure that we only contact those who are willing and able to donate to a particular project or campaign. We do not use data enrichment companies, wealth screening or any third party companies to provide personal information relating to fundraising. We use publically available information from sources such as – but not limited to – Companies House, Linked In, Twitter, Facebook, company websites, news media, Rightmove and Zoopla. We may also be given information on potential donors via our trustees and key stakeholders for the purposes of fundraising events and other activity. Were this is the case we will endeavour to send a copy of this privacy statement at the first point of contact, or at the latest within a month of receiving the information. Fulfil ticket, donation and membership requests. Provide customer services and aid internal administration. Contact you with important information relating to your booking or purchase. Where you have solicited WNO for specific information. Contact audiences regarding their experience of any recent visits to work by Welsh National Opera. Use data to analyse and learn more about our audience and donors to ensure that we can continue to better understand our customers and improve our services. Use information gathered from publicly available sources to learn more about our customer and donors interests and preferences so that we only contact the right people, with relevant information relating to fundraising events, campaigns and other activity. To ensure that we keep our data up to date and accurate. To contact current donors with information about events, news, special offers or any relevant future fundraising activities or campaigns. To contact you with information about events, news, special offers and supporting us. Where you have specifically given consent to do so we may share your data with other likeminded organisations. We may provide your personal information to social media providers or third party advertisers in order to show you relevant advertising and also to help us identify potential customers. We may also share your details with our suppliers, for example, mailing houses, to enable them to perform services on our behalf. Welsh National Opera is not responsible for the privacy notices and practices of other websites even if accessed using links from www.wno.org.uk and recommends that you check the policy of each website you visit and contact its owner or data protection manager if you have any concerns or queries. 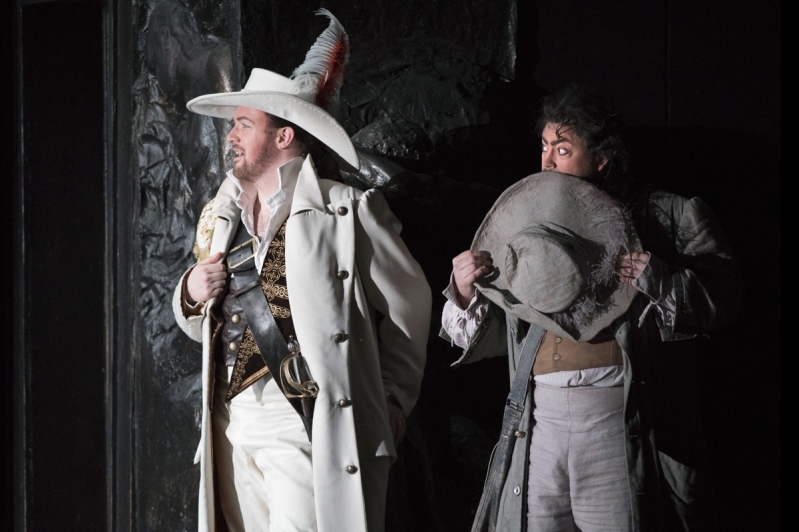 As part of the services offered to you through the Welsh National Opera website, the personal information you provide may be transferred to countries outside the European Economic Area (EEA). By way of example, this may happen if any of the computer servers used to host our website are located in a country outside of the EEA. If Welsh National Opera transfers your personal information outside of the EEA in this way, we will take steps to ensure that your privacy rights continue to be protected as outlined in this privacy notice. We will keep your information only for as long as is reasonably necessary for the purposes set out in this privacy notice and to fulfil our legal obligations. We will not keep more information than we need. The retention period will vary according to the purpose, for example, for a ticket purchase we will cease to market to individuals who have not had any further interaction with WNO after a period of seven years. We will continue to use this data for analysis for a further eight years, but will remove after this point in time. However, for example, when a constituent that pledges a legacy to WNO, we will retain this information for as long is required to process the bequest, and for any future auditing and legislative requirements. You can update your personal information and communication preferences at any time by logging into www.wno.org.uk, or by phoning, writing or emailing WNO directly. Every email we send you will include details on how to change your communications preferences or unsubscribe from future correspondence. If you would like to view, update or remove any personal information we hold, you can do so by logging into www.wno.org.uk, or contacting us directly by phone, post or email. Please always send a clear description of the information required, and whether you want to view, update or remove it. GDPR gives you the right to access information we hold about you (a ‘subject access request’). To exercise this right, or if you wish to initiate your ‘right to be forgotten’, please contact us at dataprotectionofficer@wno.org.uk or by post addressed to Data Protection Officer, Welsh National Opera, Wales Millennium Centre, Bute Place, Cardiff Bay CF10 5AL or by telephone on 02920 635053 and we will respond to you within one month of receipt of your request. This notice was updated on 15 May 2018. It may be updated to take into account changes at the Welsh National Opera for example to reflect changes to regulation or legislation. Used by our booking platform (Tessitura) allowing you to undertake purchases. Tessitura cookies allow you to login, add multiple items to a shopping cart before purchasing tickets, merchandise and making donations. By browsing Welsh National Opera’s website, you are accepting the cookies as mentioned above plus any others deemed essential for the best user experience. You can manage cookies in your browser; however, if you decline or delete cookies, areas of the site may not function properly or may behave unexpectedly.